In previous posts, I outlined ways to take action to clean up the Chesapeake by keeping plastic out of our local waterways and beyond. But we know the issues facing the Chesapeake stem from several sources including nitrogen, phosphorus, sediment, and the spread of algae blooms fueled by farm runoff and pollution. So, what can we do? Luckily there are several organizations out there with the sole mission of cleaning the Chesapeake. And they enlist an army of volunteers. You can be one of them! Activities include more than picking up trash and debris and can involve educating youths and collecting bugs. Here are a few volunteer opps that may not be on your radar. 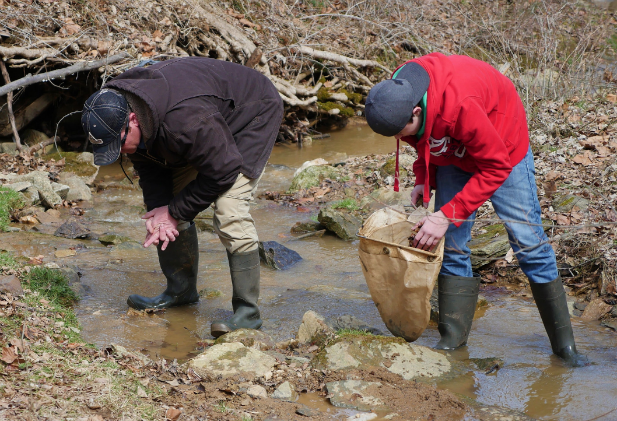 Smithsonian Environmental Research Center in Edgewater, MD relies on volunteers for a wide range of field, lab, and data-based research and educational purposes. Most of the volunteers work locally, but some are involved in research activities at a range of sites around the Bay. Become a citizen scientist or an environmental educator. Don’t worry; they train you before sending you out. The National Aquarium in Baltimore has a bevy of volunteer options, one of which is the annual Fort McHenry Field Day. Help maintain pollinator and rain gardens, remove debris from the wetlands and much more. 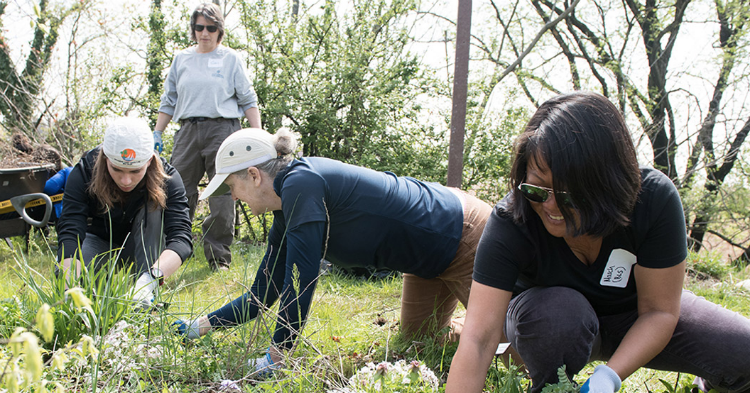 Many of their volunteer opportunities is planting native grasses and shrubs in local wetlands. 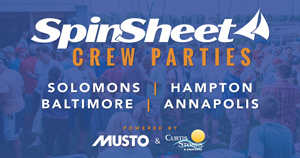 The Chesapeake Bay Waterkeepers organization holds fundraisers throughout the year. Help save the Chesapeake and its tributaries by attending a social event and enjoy food and beverages. Here’s a link to a calendar of events. The Chesapeake Bay Foundation is one of the Bay’s top advocates. 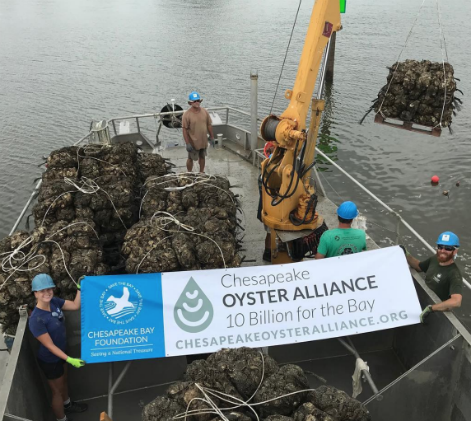 With offices in Maryland, Virginia, Pennsylvania, and the District of Columbia and 15 field centers, CBF works in myriad of ways to restore the Bay and watershed. 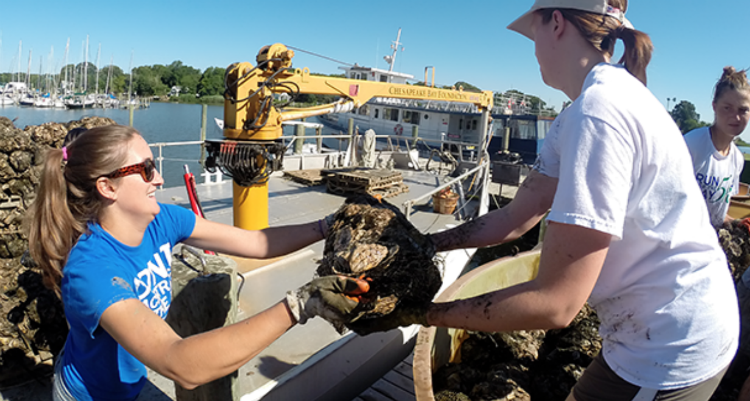 Volunteers help by growing oysters, planting trees, and helping in their offices. Did we miss one of your favorite regional organizations? Send it to [email protected] and we’ll share it with readers.